NAKED 100 e-liquids by USA Vape Labs! 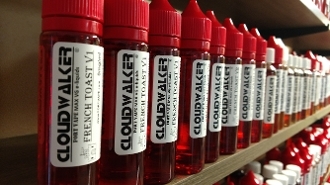 60ml "CLOUDWALKER" (MaxVG) FLASH SALE!! FORT VAPE's surprise flash sale! 60ml! Please note there is a flat shipping charge of $3.99 per order placed on this site. Individual flavor profiles are listed elsewhere on this site. Availability: IN STOCK- READY TO SHIP! Copyright © 2014-2019 FORT VAPE. All rights reserved.